Acupuncture is highly effective as a form of treatment for high blood pressure, say researchers who looked at the effects that acupuncture can have for providing relief on various health conditions including anxiety, headaches, dizziness and tinnitus. It’s also been found that acupuncture can successfully alleviate palpitations due to hypertension. Researchers found that the body gives an important biological response to acupuncture in that it regulates TNF-a and TNF-a-stimulated endothelin (ET) in those patrients with hypertension. 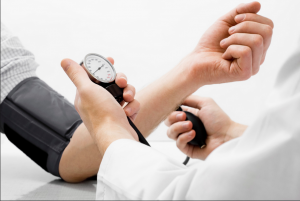 High blood pressure can also stimulate higher than normal concentrations of TNF-a and ET, while researchers demonstrate that acupuncture can successfully down regulate TNF-a and ET in patients who have hypertension, while at the same time reducing blood pressure levels and any related symptoms. The work of Liang et al. has been used to show the effectiveness of acupuncture for finding relief of peripheral vasospasms. Their work has also demonstrated that acupuncture can significantly promote cardiac output. Related research from The University of California School of Medicine, Southern California University of Health Sciences and the East Hospital in China all had similar findings. Their published research titled, ‘Long-Lasting Reduction of Blood Pressure by Electroacupuncture in Patients with Hypertension: Randomized Controlled Trial’ found that electroacupuncture was highly effective at reducing blood pressure and producing long lasting clinical results. The research found that weekly acupressure treatments, applied to the relevant acupressure points, lowered both the systolic and diastolic blood pressure in the points with hypertension. Researchers also found that electroacupuncture had a “stronger effect” on lowering systolic blood pressure than the diastolic blood pressure and that acupuncture can both decrease the peak and average systolic blood pressure. Therefore, electoacupuncture could decrease the risk of periphery artery disease, heart failure, stroke and myocardial infarction in the hypertensive patients. Investigations continue into the efficacy of acupuncture for treating hypertension. The good news is that for all the benefits of electroacupuncture, it’s also possible to achieve these same health benefits at home using a DIY electro-acupuncture device. The HealthPoint™ device can help you to locate acupuncture points accurately on the body, gently stimulating them to provide relief from a wide variety of health conditions. Safe to use and highly effective, the HealthPoint™ Kit can help to treat over 160 health conditions – including high blood pressure and any related symptoms such as stress and anxiety.